Congrats to all the finalists of TLMC8. For all of you who submitted maps that didn't make it, here's a feedback thread where the judges can let you know why your map may have fallen short. Before you ask questions, however, make sure you read these two "guides" on basic mapping and why maps have fallen short in the past. 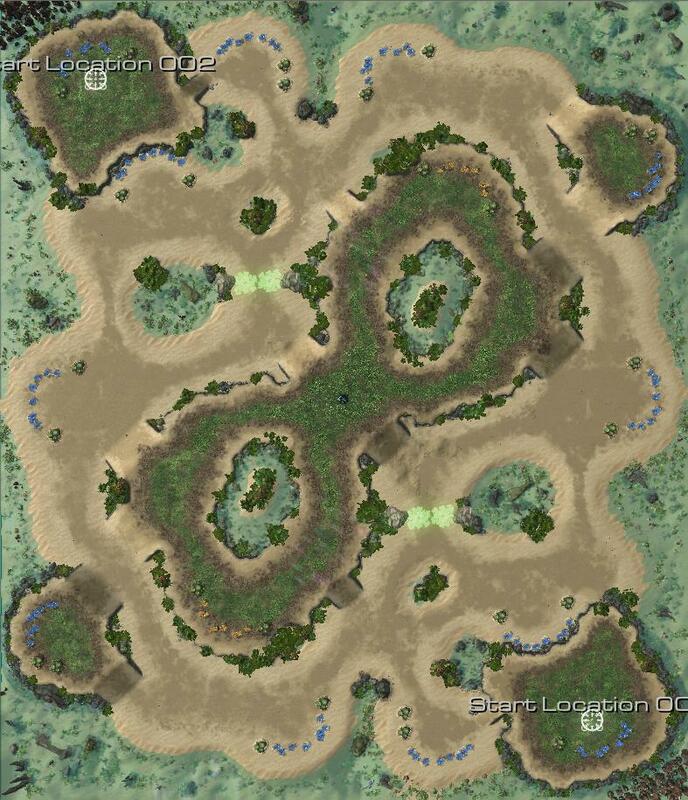 If you would like feedback on your maps that didn't make it, post the name of your map, a picture of that map, and any specific questions about your map you may have. Thanks for doing this again Monk. I think I'll be the first one. What were the best features you guys found on Elegia, and what specific features you guys though were game breaking for it to not make it to the finalist? I already made some changes around, what do you guys think of this slightly different version of the map? I'd like feedback on Broken Earth. I am told it was too standard which is a very blunt argument and I would like someone to expand on this and what is actually wrong and what could be fixed. Always appreciate & curious about feedback. If you have time, I'd like to hear your thoughts on Desolate Domain as well. 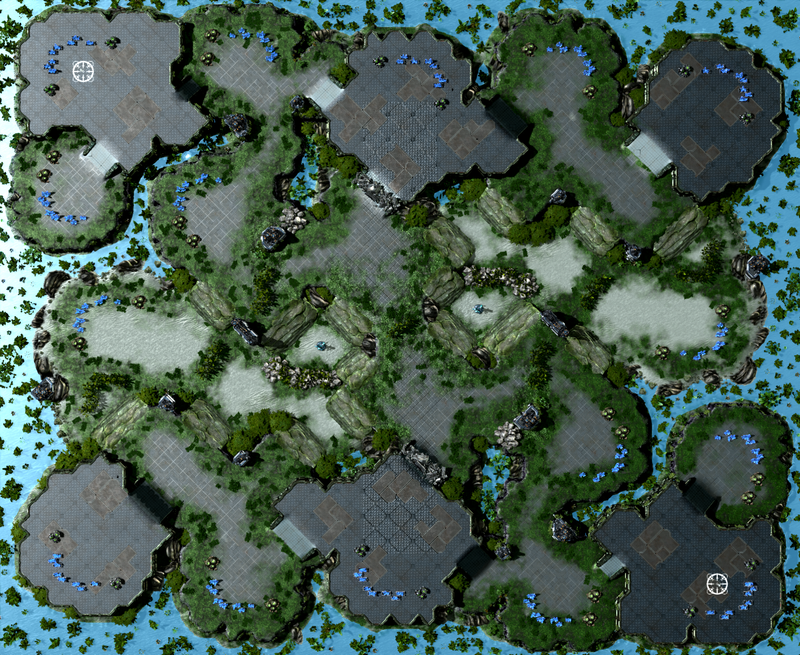 I didn't expect this map to do very well but just curious your thoughts on if the map would work out with such a short rush distance super choked middle and tons of watch tower vision? I'd like feedback on the one map I submitted, Wintermute. At first glance, I really liked this map. In fact, I think it's one of the most well-thought out maps that was submitted in the resource category. 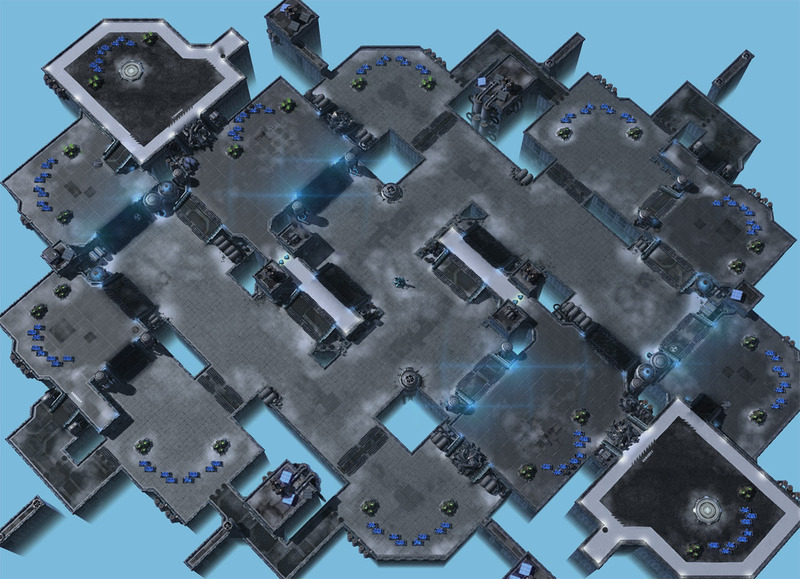 While I believe most of the maps submitted in that category were simple resource adjustments to maps that were already made, this one stood out as one that had a lot more thought put into it. 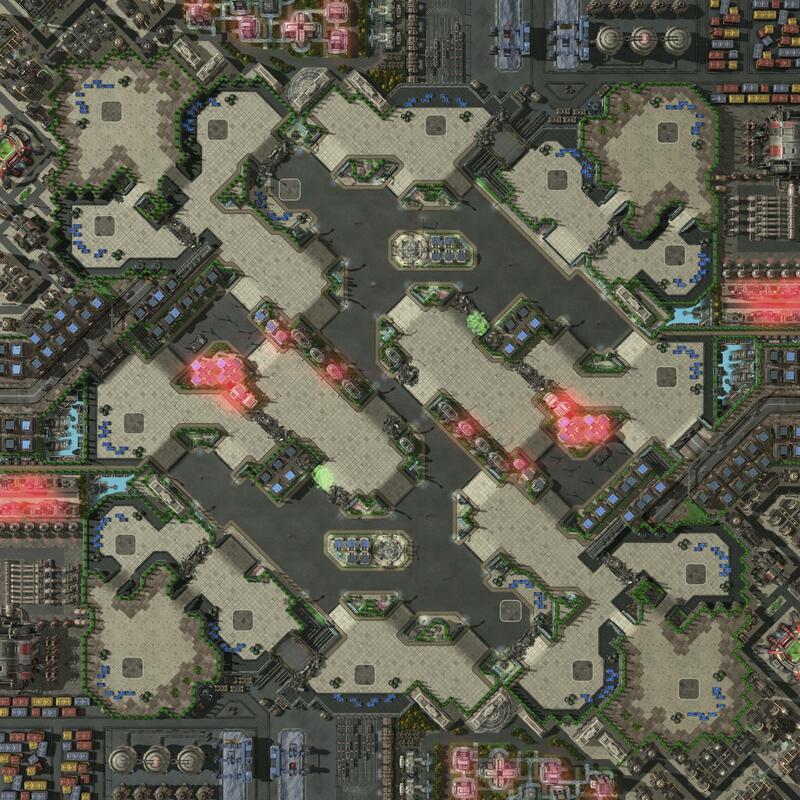 That being said, the one fatal flaw I personally found was the design of potential 3rd bases, especially in the PvZ matchup. 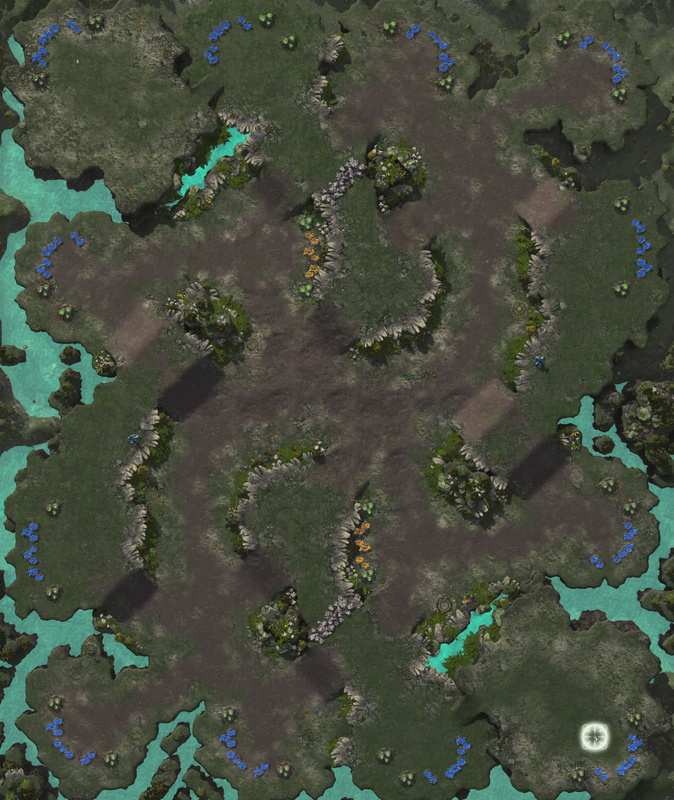 Both of the potential thirds you would take leave you extremely vulnerable to Zerg attacks because of the area you'd have to defend and the concaves Zergs could potentially get. Not only that, but the "safer" third is a low-resource 6/1 base that doesn't give Protoss enough benefit from taking it. 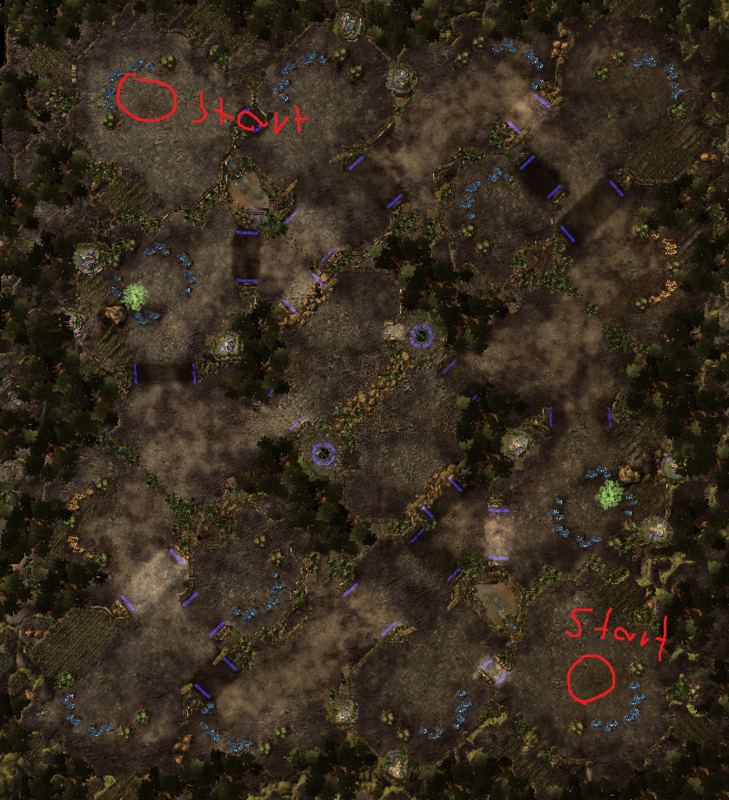 In contrast, Zerg does not need that extra gas since they can simply take it at their 4th base. The changes you made to the newer version of the map certainly do help, but I feel like it still doesn't go far enough. Still, it's a very interesting concept and I recommend that you keep working on the map in the future. Overall, I didn't think this map was very interesting or would provide particularly interesting games. The main distinctive feature is backdoor rocks, but you provided no explanation on why you put them there. The rocks come off as a random feature that you stuck on the map after you finished it rather than something you put a lot of thought into. The rocks there also isn't very cohesive with the rest of the design of the map. Another thing to consider is that backdoor rocks are generally hated by the community unless it's executed extremely well: see Expedition Lost. The layout of expansions is relatively simplistic and your path of expanding is very linear. That is, you don't have many opportunities to contest each others' bases. The watch tower gives too much power to the player who controls the middle. Think Frozen Temple and the changes that were made there. Finally, while there are multiple pathways to get across the map, I don't find them too much different from one another. 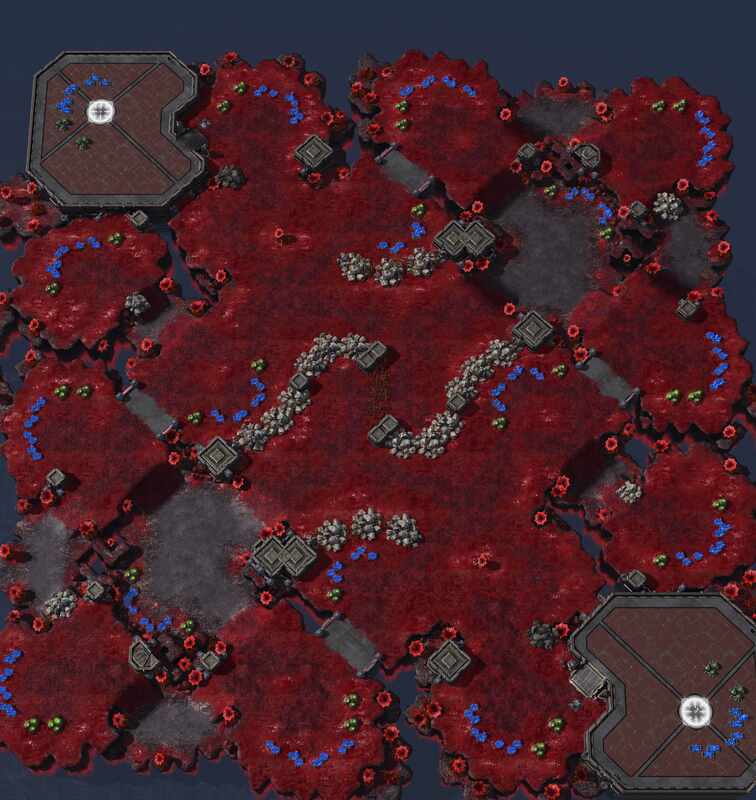 The first red flag is that you submitted the map as both a Macro and a Rush map. 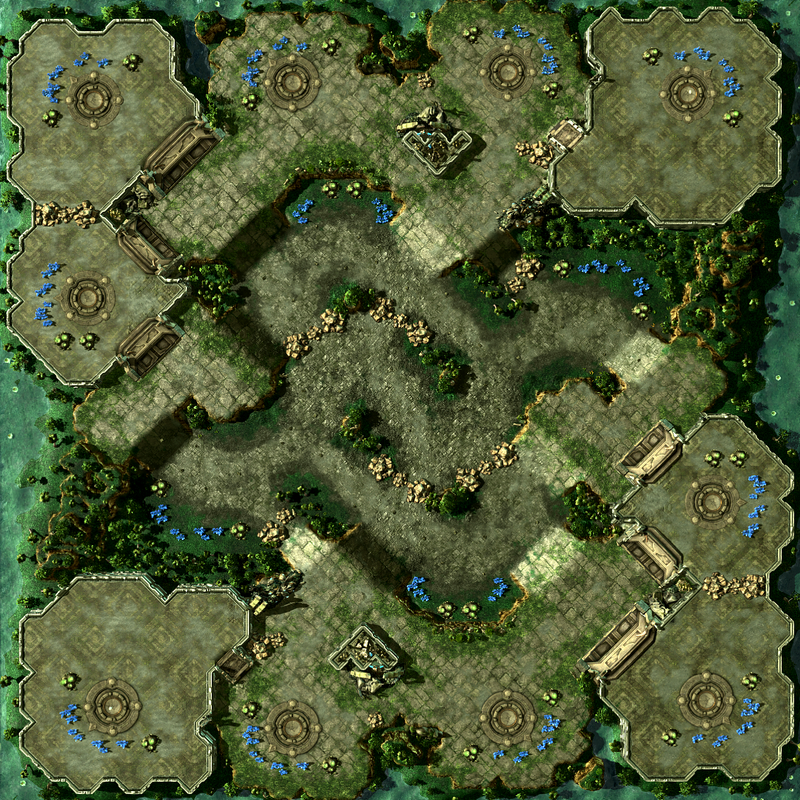 You describe the map as "Standard macro Map, no crazyness" but this is one of the craziest maps I've seen. The proportions of the first few bases are way off. 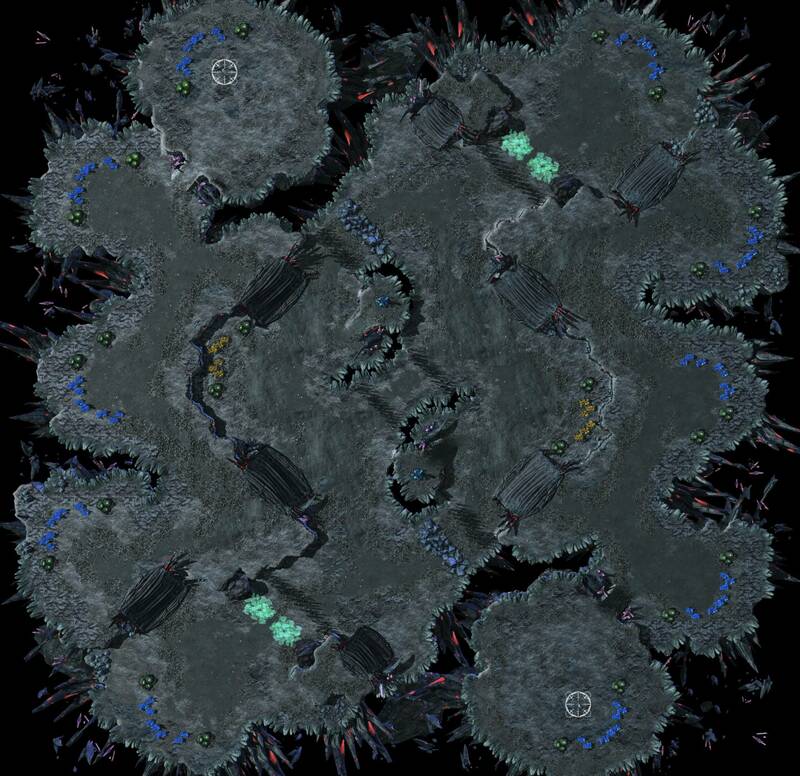 PvT would be a nightmare, because of all the space you have to defend. Especially look at the size of the main and the air space you'd have to cover. Not only that, there's not an easy way to bounce back between the natural and third. Your bases beyond the first three bases are also extremely hard to get. It seems almost impossible to cover 4 bases with defenses. You also write "But it has a 2 Gold Bases in the mid, which encourages early aggression." I wholeheartedly disagree and don't think games will every get to that stage. You're going to hate this answer, but it's too standard. It's basically a remake of Ohana, Bel'Shir Vestige, Insidious, Ravage, and to some extent, Yeonsu. There's one more ladder map it reminds me of, but that escapes my mind. It's not a bad map by any means and might have won TLMC1 or 2. 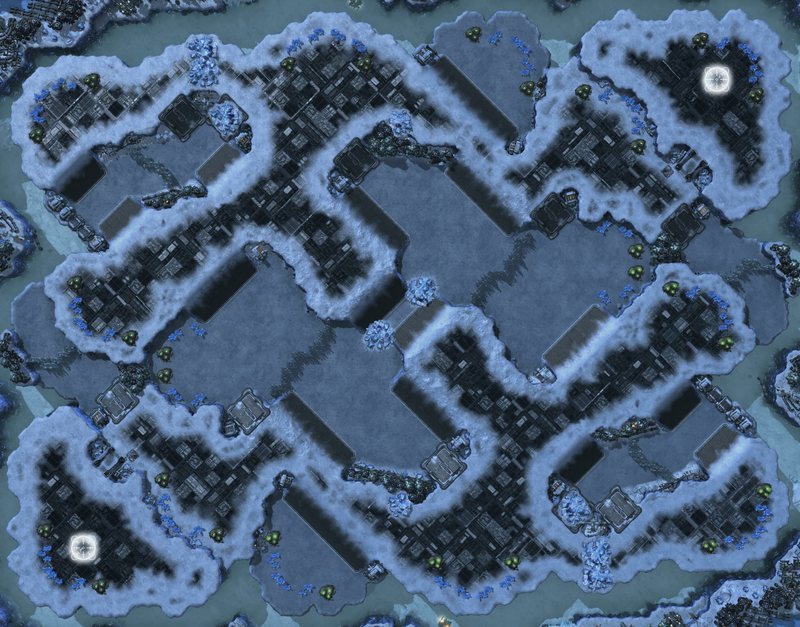 But at this stage of the metagame, I don't see why we would put this map onto the ladder instead of reviving Ohana or Bel'Shir Vestige (which is currently in the map pool). I would like some feedback on my submissions as well. I talked with Plexa on discord briefly, and made some changes to Verdure Temple as a result of some of the little bit of feedback he provided. Most of what I did on Verdure Temple is some experimentation with the rocks, converting 6x6 to 4x4+2x2 rocks, and the huge rocks into two 4x4 and a 2x2 rocks, allowing more readily quick passage to areas that are blocked, but with a thin choke only, until/unless the larger rocks are cleared as well. Additionally, the high-ground bases have been connected, blocked using two 4x4/one 2x2 rocks. 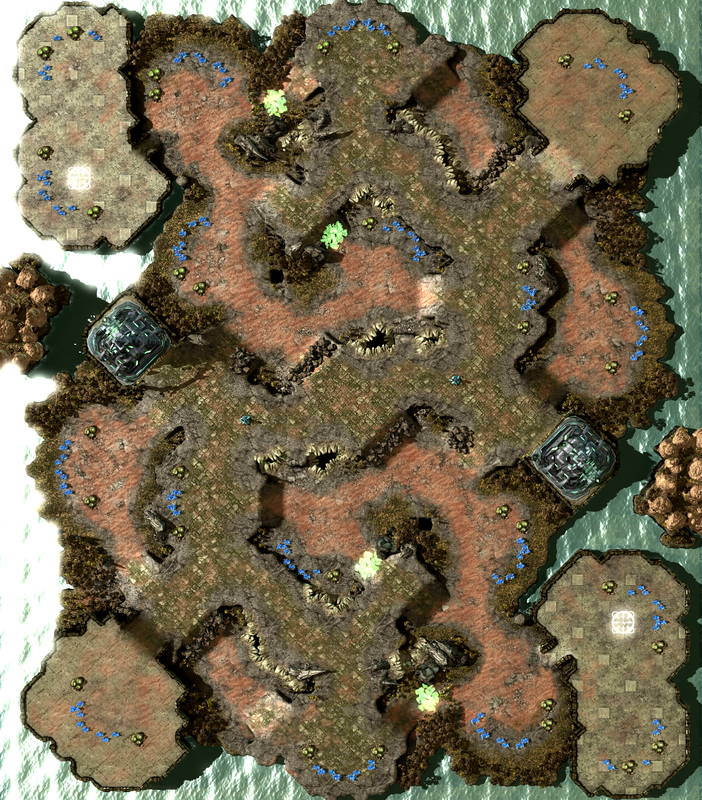 And finally, I added an additional 2 wide ramp from the area in front of the natural, going to the 2:30/8:30 low-ground bases that are blocked by a 4x4/2x2 rocks, this allowing quicker passage to the previously mentioned bases, and to the enemies high-ground bases from the main/natural. Thx for the Feedback Monk! Big respect that you do this! I'm not monk but I can tell by looking at these, that a large reason they didn't make it is because all the third bases are really far away (minus the third map, which has a pocket). Multiple entrances on the third map to the main is a huge no-no. I'm noticing that alot of your maps are very tight and choked, which can pose problems in macro games (as they seem to be leaning that way). 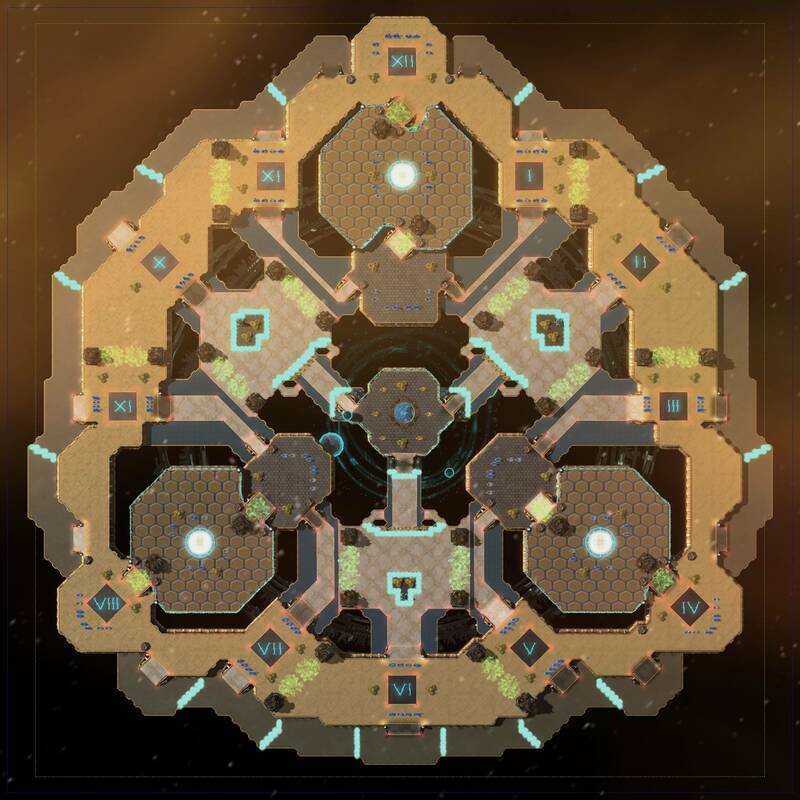 If Tranquil didn't feel so narrow in many of its pathways around bases, I think it would've been really solid and possibly made it through. 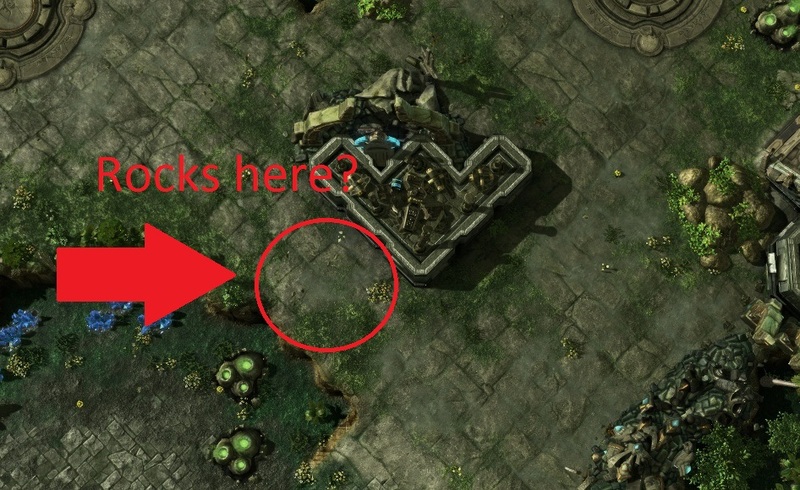 Tauras, like we talked about early on in the maps inception, has really powerful positions where siege tanks, libs, lurkers can lock down nearly four bases with little effort. Unkempt Grounds has like, no third existant. And Verdure, is really for me at least, the two entrances into the natural. Normally this wouldn't be too much of an issue, but the distance for the attacker to swap between the two entrances is really short, which means you really have to wall off early - which harms builds. Multiple entrances on the third map to the main is a huge no-no. About Verdure Temple, there was an idea I had concerning the ability to swap entrances, but most of my friends thought it was unnecessary, and I didn't feel the map particularly needed it. Had no indication on whether mine was actually considered or not as I submitted it a little late (like a little less than an hour late maybe? ), but would nevertheless appreciate some feedback for it. NinjaDuckBob ~ Fear the fuzzy!